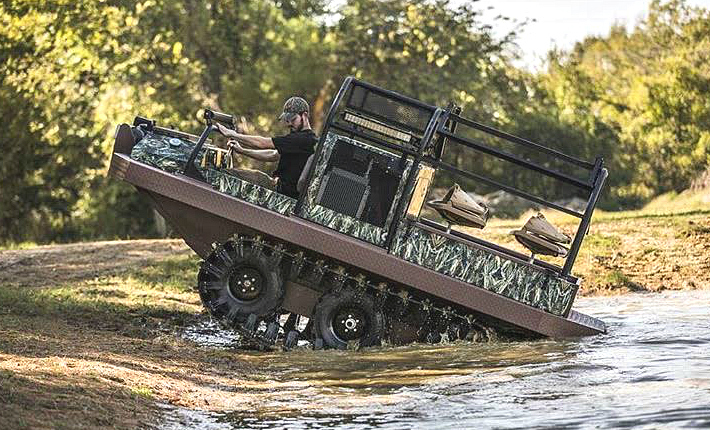 The XTB66 amphibious vehicle is a new Hydratrek® model that was released in the Fall of 2016. This is a version of the XT66 vehicle with a rear cargo bed. 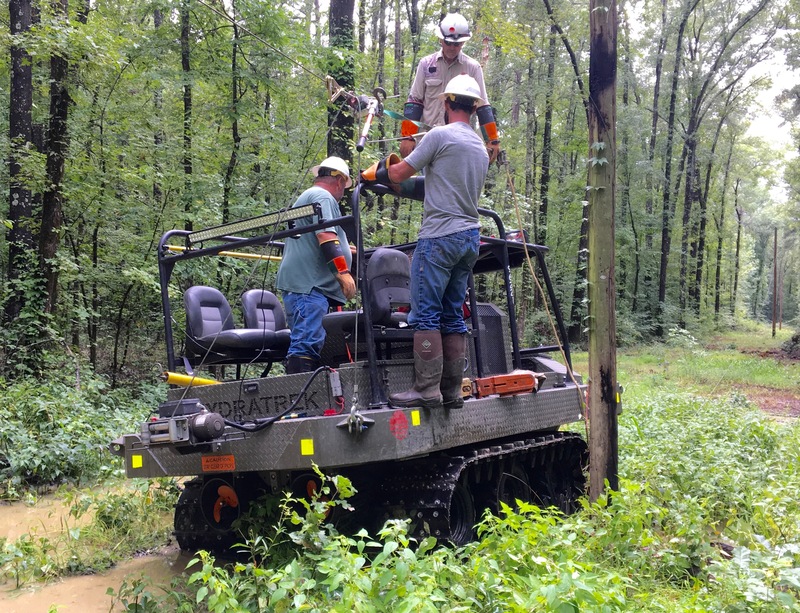 Since its lauch to the public, it is quickly becoming popular with utility and oil and gas customers. 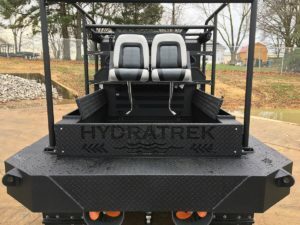 The XTB66 can be can be configured with additonal seating to accomodate 7 persons total. 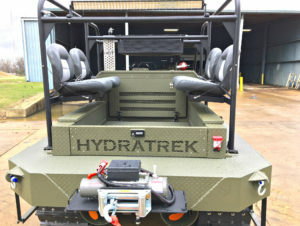 This Hydratrek vehicle is powered by a Kubota Diesel 59 HP engine. This is a new engine being used in the 6×6 product line. Can you ever have too much power? 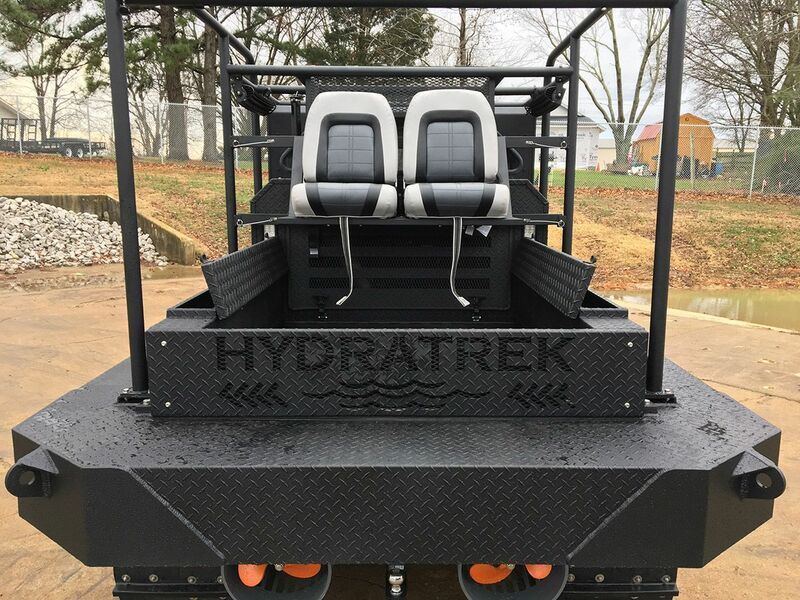 Like all Hydratrek and Land Tamer vehicles, the XTB66 is made from marine grade aluminum and operates via a hydrostatic drive system. 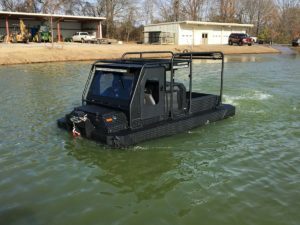 Two 11″ bronze propellers at the rear ensure water maneuverability while floating. 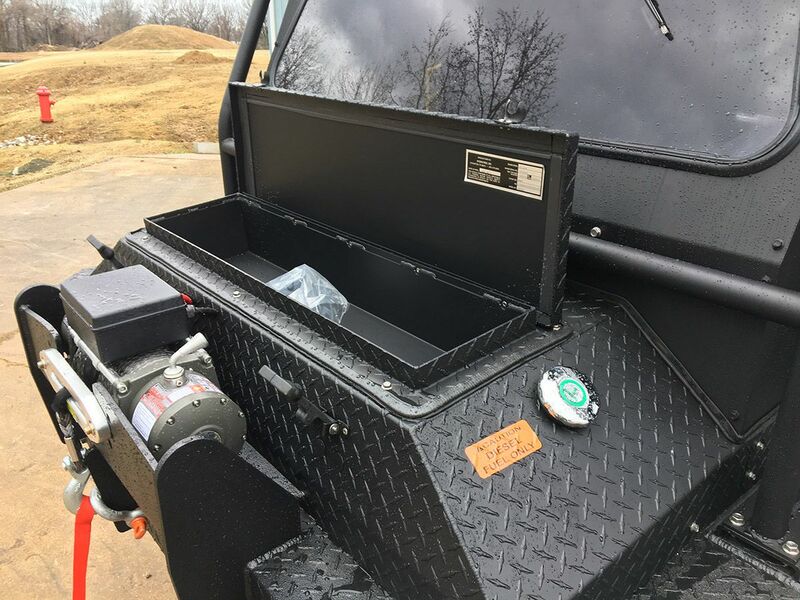 Other options include LED lighting, access ladders, front and rear electric winches, toolboxes for the cargo bed, and overhead roll-over protection. The standard rubber track system for the XTB66 is 16″ wide. 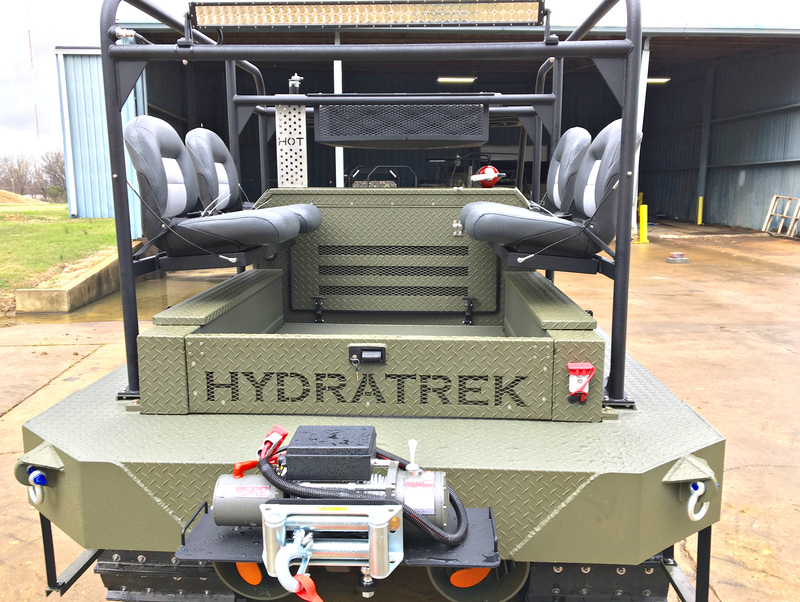 Depending on the cargo load, this provides a footprint of 1.4 – 2.0 psi in the mud and muck. 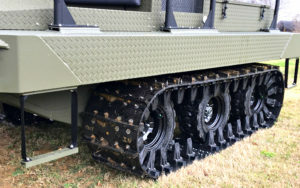 The rubber track is good for all surfaces including gravel and paved roads. 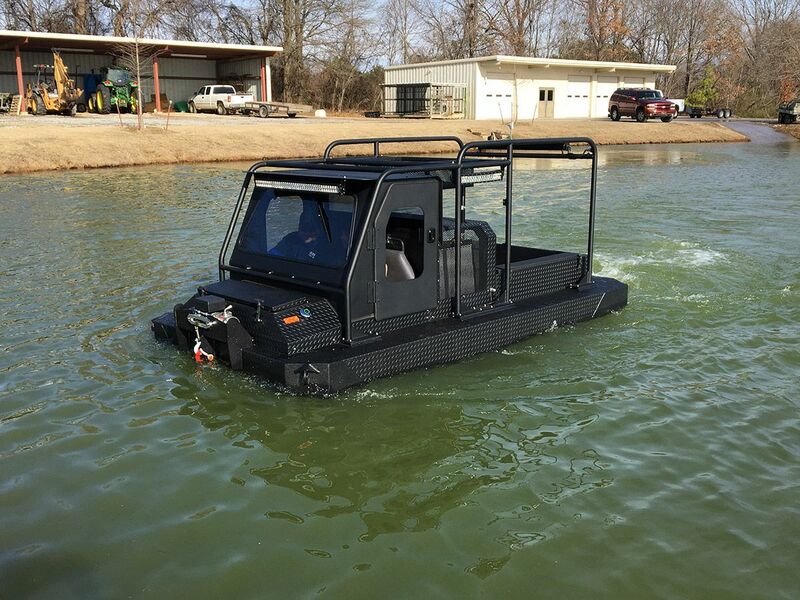 An optional 20″ track is available for the XTB66 amphibious vehicle and this will further reduce the ground pressure. Current customers for the XTB66 include Entergy Louisiana, PowerGrid Resources, ConocoPhillips, and Drake Waterfowl Systems.